No doubt 2018 is a year of crypto. If you are not living under the rock, you are already in. If you are still missing out and not sure which are the coins that going to ‘moon’ this year, here is a private invitation for you. 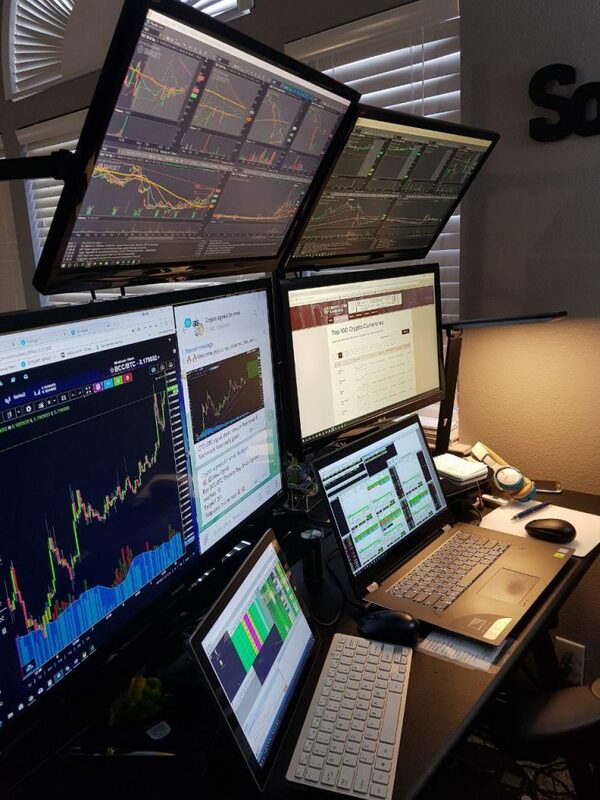 Nothing to see here… Just my workplace, preparing your next BIG signal Remember if you are going to do it, do it right.. Don’t trust scam channels who do nothing just repost each other BS signals. Do you own research – it’s your money. You see crypto is booming right now and it’s already flooded with scams, pump and dump groups, non working paid signals to push the coins and icos and other frauds. 30%, 50%, 70%, 101% ? Top coins to invest in 2018. Get in early before the price rises! Most promising ICO to join before the rest of the world. Long and mid term signals, bitcoin, ether and altcoin predictions. Insider news about major fundamental events that will shake the industry. Get all info in one place without cost while others pay 499usd/month for that!